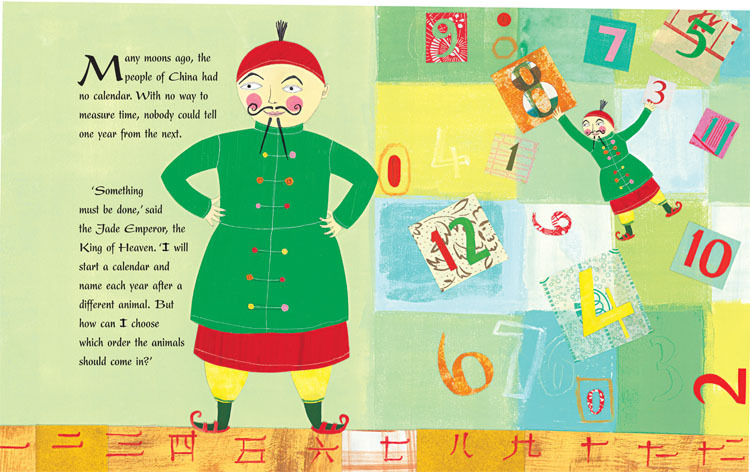 All Aboard the Bookshelf: Year of the Snake! 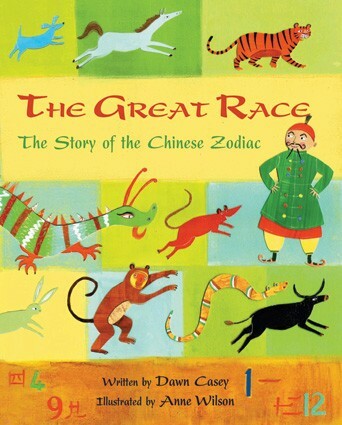 This week's activity with the after-school kids at Elfe's school was designed to celebrate the Lunar New Year - Year of the Snake! 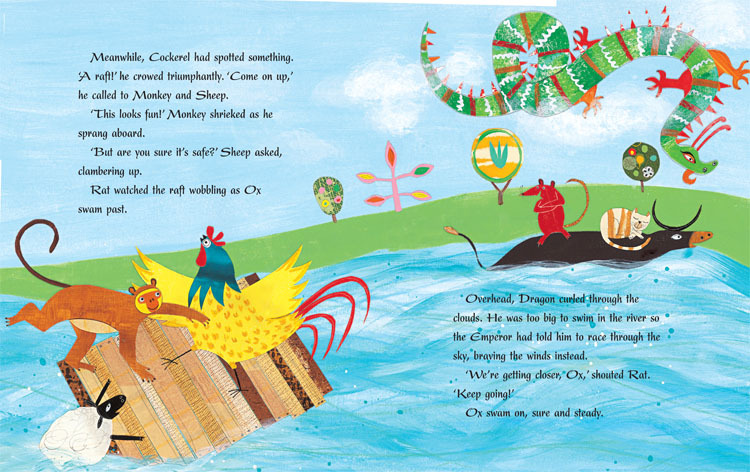 Perusing the end notes in the back of the book, we discovered that the kids were either Rats, Dogs, or Pigs, I'm a Sheep, and the after-school teacher is a Hare. 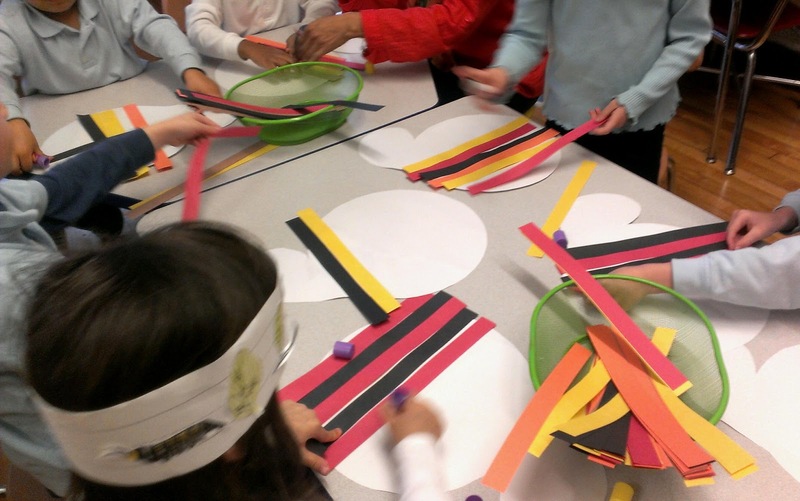 Most of the kids already knew that this is the year of the snake, so after the book we got right down to business making our own snakes. 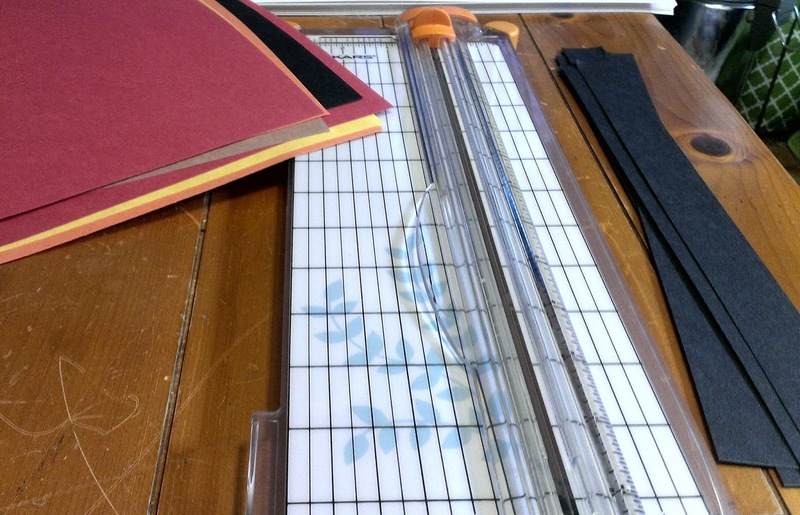 I based this craft on this post from the main Barefoot Books blog, but instead of using paint as they did, I used strips of construction paper. 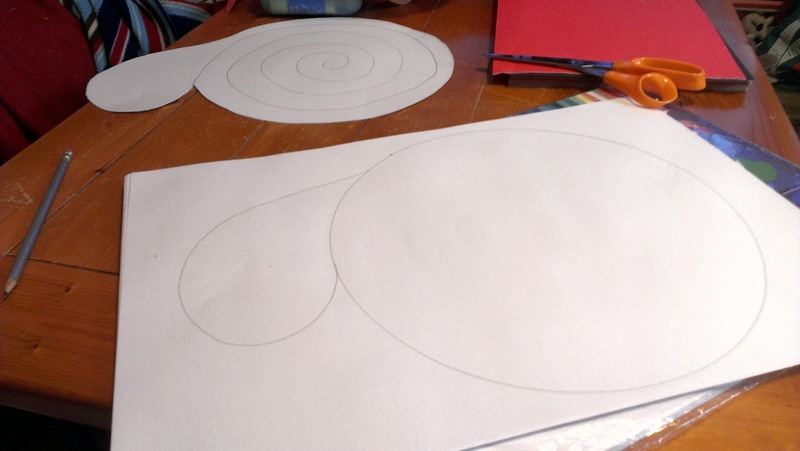 I used a dinner plate to trace circles on a big white sheet of paper, added on the snake's head free-hand, drew a spiral inside the main circle and then cut away the extra paper outside the snake outline. 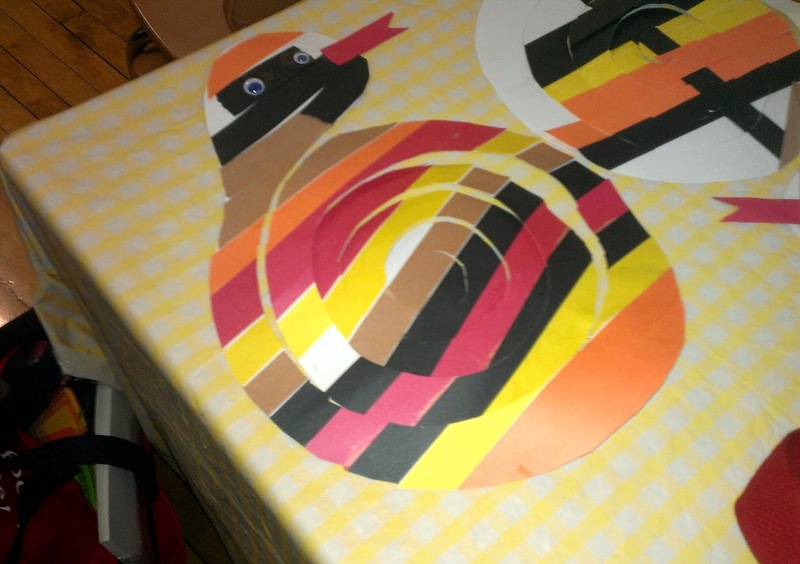 I cut one-inch strips of black, red, yellow, brown, and orange construction paper. 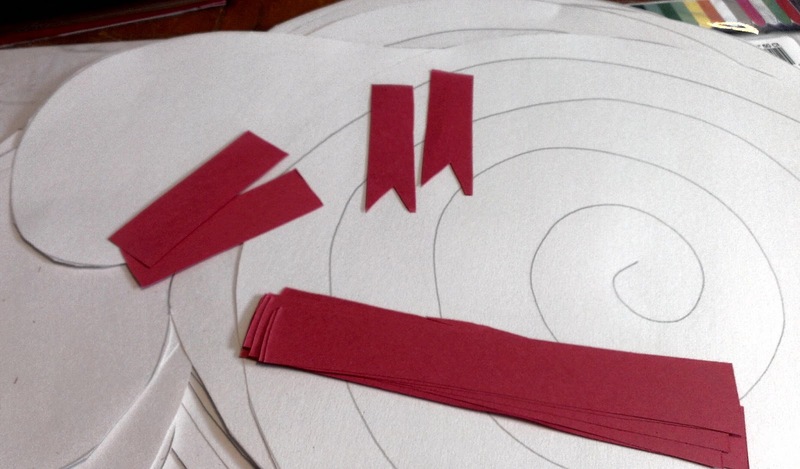 I used some of the strips of red paper to make tongues for the snakes. I had them turn their snake shapes over to the blank side, then glue down whatever strips of construction paper they chose. Some of the kids had been working on patterns in class, so this was an unexpectedly perfect chance for them to practice making a pattern with stripes! I told them not to worry if the the strips were longer then the snake shape - we cut the extra off at the end, and then they turned their snakes over to the other side and cut along the spiral shape. 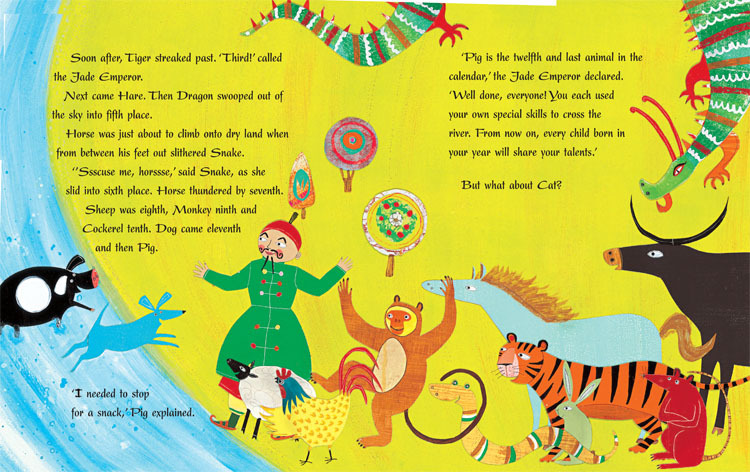 ...we added in some googly eyes and tongues, and here is a table full of finished snakes! 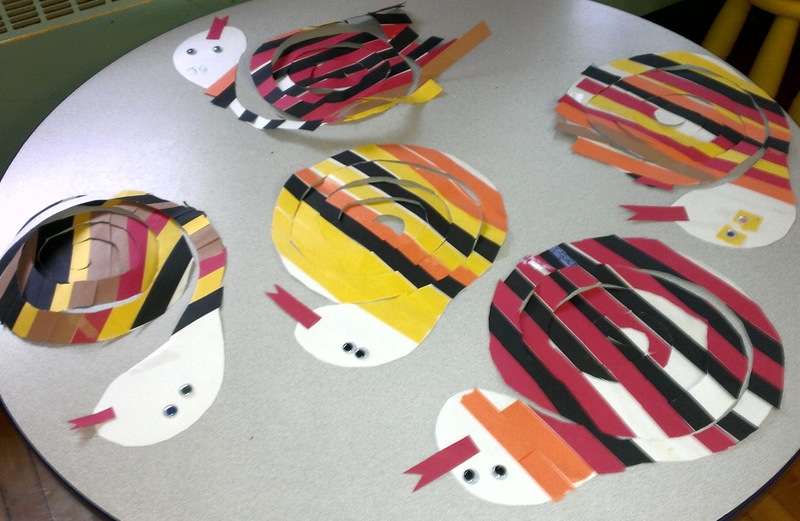 If I were to do this craft again, I think I would use a smaller plate to make the outline - maybe a salad plate - the snakes look great on the table but were a little unwieldy when the kids tried to pick them up to uncoil them. Other than that, this was another smashing success - two thumbs up from all the four-, five-, and six-year-olds! What a great idea on the paper snake!